The Institute for Research in Social Science (IRSS) at the University of North Carolina at Chapel Hill was founded in 1924 with support from the Laura Spelman Rockefeller Memorial of New York. At first, most of the institute's resources went to support a cadre of talented research assistants assigned to work on faculty-initiated projects. Many went on to distinguished scholarly careers: Guy B. Johnson, T. J. Woofter Jr., and Arthur F. Raper in the study of race relations; Lee M. Brooks in criminology; Rupert B. Vance in demography; Paul W. Wager and Edward J. Woodhouse in the study of local government; and William S. Jenkins, Guion G. Johnson, and Fletcher M. Green in southern history. Two other early research assistants were sociologist Gordon Blackwell, who succeeded Howard W. Odum as IRSS director from 1944 to 1957, and statistician Daniel O. Price, who served as director from 1957 to 1966. After 1944 the emphasis of the IRSS began to change, shifting away from the regional orientation that had characterized many of the institute's early research projects. Moreover, the nature of social science research was changing: what faculty required in the way of facilities was now computational hardware and support in statistical analysis, the use of computers, and data acquisition. Over the next 25 years, the IRSS gradually took on major responsibilities in these areas. The institute's Social Science Data Library, for example, has become the third-largest repository of social science data in the United States. Its holdings include the public opinion surveys of alumnus Louis D. Harris and the National Network of State Polls, for which IRSS serves as headquarters. The name of the institute officially became the Howard W. Odum Institute for Research in Social Science in 1999. The IRSS continues to serve a faculty whose interests are more diverse and less regionally oriented than ever. The institute frequently conducts statewide public-opinion surveys and in the 1990s carried out a series of "Southern Focus Polls," national surveys with special attention to matters of regional interest. 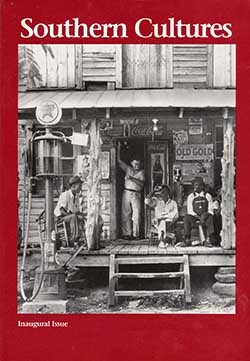 In 1995 the interdisciplinary quarterly Southern Cultures, begun by the institute, was taken over by the University of North Carolina's newly established Center for the Study of the American South. That center was itself initially housed and supported by the IRSS in a process of organizational "incubation," as was the Center for Urban and Regional Studies in the 1960s. Wayne D. Brazil, Howard W. Odum: The Building Years, 1884-1930 (1988). Guy Benton Johnson and Guion G. Johnson, Research in Service to Society: The First Fifty Years of the Institute for Research in Social Science at the University of North Carolina (1980). Reed, John Shelton. "History of the Odum Institute." The Howard W. Odum Institute for Social Science, University of North Carolina at Chapel Hill. http://www.irss.unc.edu/odum/contentSubpage.jsp?nodeid=188 (accessed November 13, 2012). "Collection Title: Institute for Research in Social Science of the University of North Carolina at Chapel Hill Records, 1924-1987 (bulk 1924-1969). Collection No. 40075." (accessed November 13, 2012). http://www.lib.unc.edu/mss/uars/ead/40075.html (accessed November 13, 2012). "Who Was Howard W. Odum?" The Howard W. Odum Institute for Social Science, University of North Carolina at Chapel Hill. http://www.irss.unc.edu/odum/contentSubpage.jsp?nodeid=326 (accessed November 13, 2012). Inaugural issue of the Southern Cultures journal, 1993. Image from the Center for the Study of the American South, University of North Carolina at Chapel Hill. http://www.southerncultures.org/content/read/table_of_contents_by_issue/inaugural_93/ (accessed November 13, 2012).